ACTA Week in the EU Parliament. MEPs Must Act! Brussels, February 27th, 2012 – Despite an attempt from the Commission to buy time and defuse the political debate, important meetings will take place this week in the European Parliament to decide on the future of ACTA. Citizens must call on their representatives to work without delay towards the rejection of this illegitimate agreement. Last week, the EU Commission announced that it would request the EU Court of Justice’s opinion on the compatibility of ACTA with EU treaties and fundamental rights. Depending on how the question to the Court is framed, this referral may uncover important legal problems with ACTA. However, there is no reason to wait to address the obvious political problems raised by this agreement. The referral to the Court of Justice is clearly intended by ACTA proponents as a way to buy time in face of the strong opposition to ACTA. The EU Parliament must therefore proceed immediately and formulate its own reasons for rejecting ACTA. Citizens from all around the EU can get in touch with their elected representatives in the International Trade (INTA) and Industry (ITRE) committees (which meet this week to discuss ACTA) and urge them to continue working in their committees towards the rejection of ACTA (see below for information on the ACTA procedure in the EU Parliament). “ACTA was initiated and negotiated outside of democratic forums. Its vague wording, when interpreted in light of other ongoing initiatives, leaves no doubt that ACTA is meant to turn Internet intermediaries into a private copyright police. Even worse, it will install a terrible irreversibility in our broken copyright regime and prevent its needed reform.”, said Philippe Aigrain, co-founder of the citizen advocacy group La Quadrature du Net. “Members of the European Parliament must resist the EU Commission’s strategy to buy time and to turn the debate into a mere legal discussion, and must keep on working towards the rejection of ACTA. ACTA aims to impose a global trend in policy-making that is toxic for a free Internet and for freedoms. The European Parliament is the only safeguard left: it must act and take a clear and strong position, or it will let the Commission have its way towards imposing unacceptable repression.”, said Jérémie Zimmermann, co-founder and spokesperson of the citizen advocacy group. The International Trade (INTA) Committee of the European Parliament is the main committee working on ACTA. The Legal Affairs (JURI), Development (DEVE), Civil Liberties (LIBE) and the Industry (ITRE) committees will first vote on their opinions after holding “exchange of views” on draft reports in the coming weeks. Opinions will then be sent to INTA to influence its final report, which will recommend the EU Parliament as a whole to reject or accept ACTA. 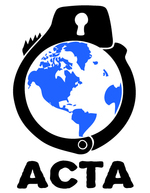 The final, plenary vote by the EU Parliament on ACTA should be held no sooner than June. See the European Parliament’s calendar (committees meet during pink periods). See our dossier on ACTA. See also the growing list of NGOs, politicians, academics, etc. , against ACTA. Read and spread the Counter-Arguments to oppose to those who support ACTA. Inform fellow citizens by spreading this 2 minute video on ACTA. To discuss ACTA, subscribe to our discussion list by sending a blank email to acta-subscribe@laquadrature.net. We won’t use your email for anything else.